This time of year a couple of good recipes for football party food can make life SO much easier. These cheese stuffed pretzels are a good example – the recipe is much easier than it looks (even if you’ve never worked with yeast dough before) and the resulting pretzel is dense and chewy with pockets of gooey sharp cheddar cheese all the way through it. Autumn is the time of year when I start thinking about snacks and easy football party food, like cheese stuffed pretzels. I don’t know about you, but I definitely don’t want to spend my Saturdays cooking while everyone else is screaming at the wide screen, you know? It’s got to be easy, quick or make-ahead, and it has to be delicious enough to take the family’s attention away from the football game long enough to at least mumble appreciatively. A lot of my favorite recipes start with Sargento® Shredded Sharp Cheddar Cheese. Since it’s already shredded, there’s one less step I have to handle and that great, sharp cheddar flavor goes with the warm, full flavors of fall. It’s always shredded from big blocks of real, natural cheese so it’s always fresh tasting. Real food, real flavor! Of course, there are a variety of shredded cheeses that will work in any recipe so don’t limit yourself! 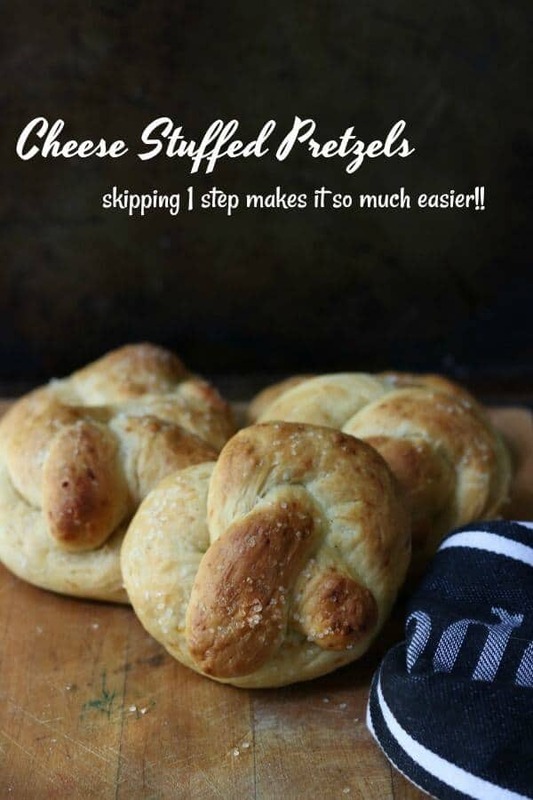 Sargento® Shredded Pepper Jack Cheese would be delicious in this cheese stuffed pretzels recipe as well. Use disposable plates, cups, and utensils in your team’s colors. Less cleanup means more fun! Soups that you’ve made on top of the stove can be kept warm in a slow cooker. Use food-coloring spray to make light colored cookies (store bought or homemade) team colors. Keep it simple – use things that can be made ahead and warmed up. Dips can be made up to 2 days ahead of time. Think outside the potato chip bag when it comes to snack foods and dips. Crackers, raw vegetables, skewered meats – and many more edibles are perfect for dipping! Sandwich bars and taco bars allow guests to make their own. Make it potluck and let guests bring their favorites. Make an easy game day tablecloth with a green table cover and a white sharpie. Use the sharpie to create yard line markings on the tablecloth. Be careful – it will smear on some surfaces. What kind of football party food can you create with two packages of Sargento® Shredded Cheese? You’ll find inspiration below as well as on the Sargento® website. Apple Cheddar Cheeseballs take the classic combination of sweet apples and Sargento® Shredded Sharp Cheddar Cheese and make them fun fall appetizers for entertaining. Blend 1-pound of cream cheese with Sargento® Shredded Sharp Cheddar Cheese and chopped apples. Press in pecans. Just add your favorite crackers! Fall recipes that make the most of the season’s flavors are always a big hit no matter where they’re served! These ham and spiced apple sliders on cheddar cheese biscuits are a good example. Mix 1 cup of Sargento® Shredded Sharp Cheddar Cheese into your favorite biscuit recipe and bake. Fill the baked biscuits with deli sliced ham and spiced apple rings. Spread with chipotle aioli if you like a little extra zip. Southwestern Scalloped Potatoes are an easy cheesy side dish with South of the Border flavors. Use your favorite au gratin potatoes or scalloped potato recipe made with plenty of Sargento® Shredded Pepper Jack Cheese. Just mix chopped cilantro and a teaspoon of cumin with the potatoes. Easily made into a main course with the addition of cooked chicken or ground beef. Your favorite fall dinner ideas can be part of the football party food menu, too. This creamy, cheesy chicken enchilada soup goes together in minutes on the stove but can be kept warm in a slow cooker for hours on game day. Just mix 1 can of condensed cream of chicken soup, 1 can of enchilada sauce, 2 cups milk, 2 1/2 cups cooked chicken, 1 can of drained and rinsed black beans, 1 can of drained white hominy, and 2 cups Sargento® Shredded Pepper Jack Cheese in a saucepan and warm over medium heat, stirring often, until the cheese melts and the soup is creamy and smooth. Pass bowls of tortilla chips, chopped onion, cilantro, avocado, and sour cream to top the soup with. These big, chewy cheese stuffed pretzels are classic football party food but they also are great with a bowl of soup for a quick lunch or dinner. Got leftovers? Slice them in half, toast in the oven, spread with a good spicy mustard, and fill with sliced ham. Big, fluffy pretzels with gooey, Sargento® Shredded Sharp Cheddar Cheese in each bite. This recipe saves time by skipping the tedious boiling step that most pretzels require. Combine water, yeast, and sugar in the bowl of your mixer fitted with the kneading arm or dough hook. In another bowl combine 3 cups of the flour, wheat gluten, and salt. Add 1 cup of the flour mixture to the yeast and mix for a minute or two. Slowly add the remaining flour mixture until the dough pulls away from the sides. You may need to add a little more flour if the dough is too sticky. Knead in the Sargento® Shredded Sharp Cheddar Cheese. 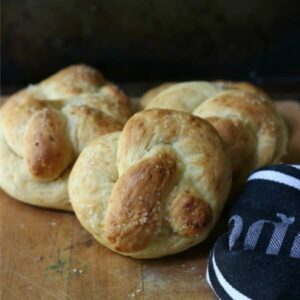 Knead the dough for 1-2 minutes and shape into a ball. Take each part and roll into an even rope. Take the ends of the rope and gently draw them together to form a circle. 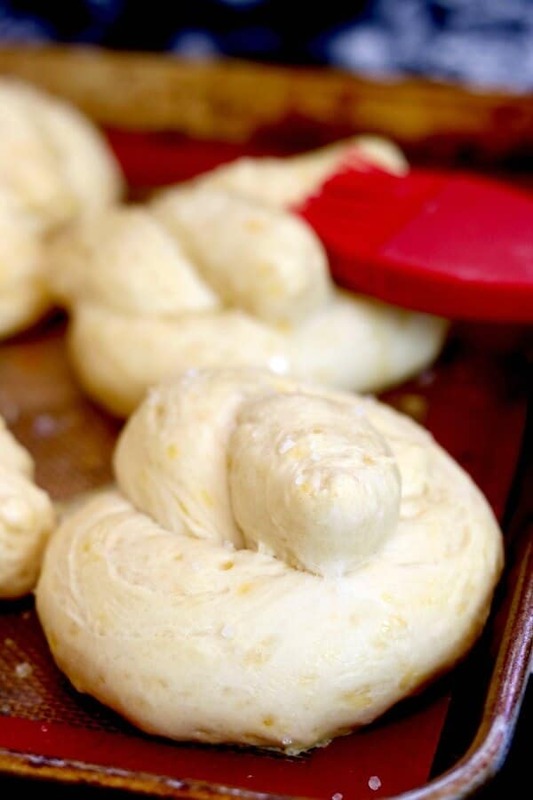 Bring the ends back toward yourself and gently press them down into the dough to form a pretzel. Beat the egg and water together and pour into a shallow bowl. Dip the unbaked pretzel into the egg wash to cover all sides, allowing any excess egg to drip off. Place on a baking sheet lined with a silicone mat or parchment paper and sprayed with nonstick baking spray. Sprinkle the tops of the pretzels with salt. Bake for 10 minutes, remove the pretzels from the oven and carefully brush with melted butter. Return to the oven and bake 5 minutes more. If you want the kind of pretzels that drip gooey, melted cheese when you bite into them you can roll the dough into a rectangle. Cut the rectangle into 8 strips. Roll a strip of dough out so that it's about the width of two fingers. Sprinkle more Sargento® Shredded Sharp Cheddar Cheese down the center of the dough. Pull each long side of the strip to the center to cover the cheese and pinch together, making sure to seal the cheese into the dough. Finish the pretzels as in the instructions above. 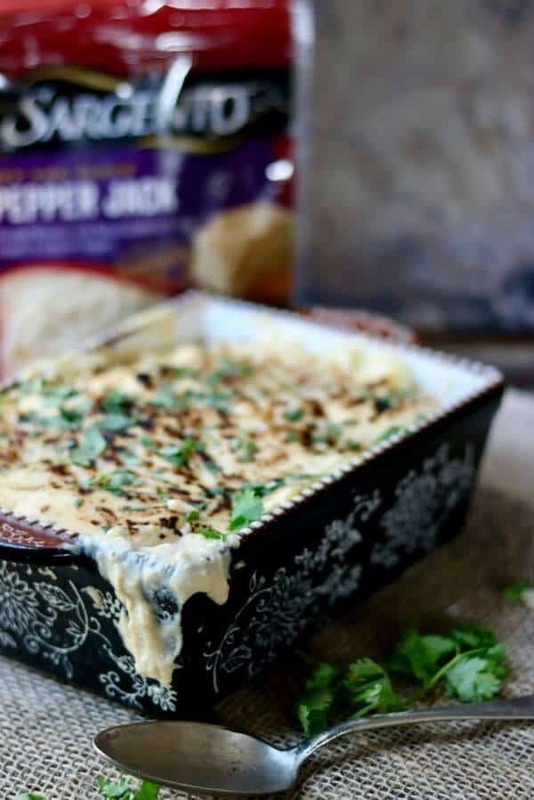 Vary the flavor of the pretzels by using Sargento® Shredded Pepper Jack Cheese. Nutritional values are for general informational purpose only and are not verified. They may vary based on the ingredients, amounts and brands you choose.